Dominate the roads of Minnesota and beyond from behind the wheel of the new 2018 Nissan Sentra. This fuel-efficient Nissan sedan can return up to 37 highway mpg when properly equipped, and offers potent engine options that can help give you a competitive edge. Learn more about the 2018 Nissan Sentra, then schedule a test-drive at our Nissan dealership near Plymouth, MN. Drive with peace of mind thanks to the plethora of driver-assistive systems that are available on the 2018 Nissan Sentra. The new Sentra offers optional safety features like Blind Spot Warning, which can help you keep an eye on the hard-to-see-zones surrounding your vehicle. For greater confidence, while moving in reverse, you can opt for the available Rear Cross Traffic Alert, ensuring you’ll receive an alert if there’s oncoming traffic that you might not be able to see. With these safety options and standard features such as the Nissan Advanced Air Bag System, you can rest assured that your loved ones will be well protected. Under the hood of the 2018 Nissan Sentra you’ll find three different engine options. You can upgrade to the available 1.6-liter turbocharged engine that generates 188 horsepower for a more spirited drive, and the optional Xtronic CVT® will give you smooth shifting and acceleration around every bend. Whether you’re making your daily commute or getting ready for a big road trip, you’ll be happy to tackle every drive with the new 2018 Nissan Sentra! 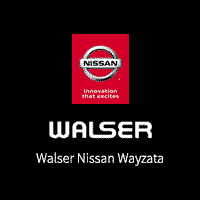 Walser Nissan Wayzata is dedicated to helping you find the new Nissan car or SUV that you love. One Walser employee can be by your side from the test-drive all the way through the signing of the financing paperwork. Our no-negotiation policies allow you to focus on the features in the Nissan you’d like to buy, and our low-stress sales environment ensures you’ll enjoy the time you spend at our dealer. Buy or lease the new Sentra today! We appreciate your interest in our inventory, and apologize we do not have model details displaying on the website at this time. Please fill the form out below and our team will quickly respond, or, please call us at 612-426-6995 for more information.